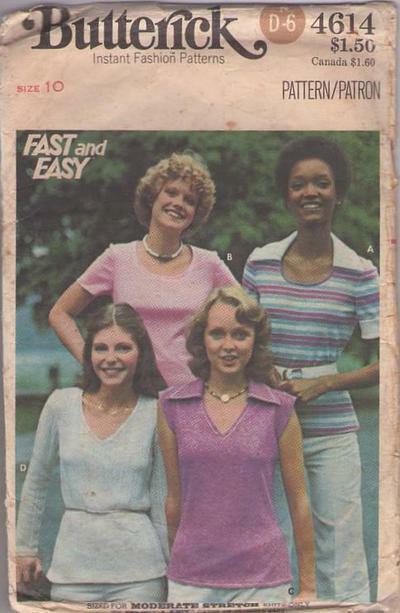 70s Casual, Retro Beginners Clothing Patterns - Close-fitting T-shirts have narrow bands at necklines. A and B have round neckline with or without contrast pointed collar and short sleeves with or without contrast turn-back cuffs. C and D have V-neckline, with or without pointed collar; armhole bands or full-length sleeves. Topstitch trim. Purchased belt.